Sandford, John, 1944 February 23- 2016 Shelf Location: SAND. Select this title Deadline / John Sandford. 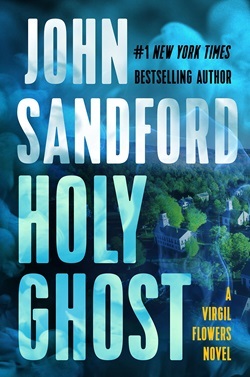 [Electronic resource] Sandford, John, 1944 February 23- 2015 Shelf Location: Access this eAudiobook online. Sandford, John, 1944 February 23- 2017 Shelf Location: SAND. Select this title Field of prey / John Sandford. [Electronic resource] Sandford, John, 1944 February 23- 2015 Shelf Location: Access this eAudiobook online. Select this title Gathering prey / John Sandford. [Electronic resource] Sandford, John, 1944 February 23- 2016 Shelf Location: Access this eAudiobook online. Sandford, John, 1944 February 23- 2018 Shelf Location: Access this eMaterial online. Select this title Rules of prey / John Sandford. [Electronic resource] Sandford, John, 1944 February 23- 2013 Shelf Location: Access this eAudiobook online. Select this title Rules of prey / John Sandford. [Book] Sandford, John, 1944 February 23- 2013 Shelf Location: Access this eAudiobook online. Select this title Shadow prey / John Sandford. [Electronic resource] Sandford, John, 1944 February 23- 2013 Shelf Location: Access this eAudiobook online. Select this title Shadow prey / John Sandford. [Book] Sandford, John, 1944 February 23- 2013 Shelf Location: Access this eAudiobook online. Sandford, John, 1944 February 23- 2018 Shelf Location: SAND.